Since unpacking a suitcase full of wrinkly clothes is never a good way to start your trip, we’ve come up with a few tips on how to avoid the annoying travel hassle. While a crease here and there is inevitable, there are ways to minimise the damage. Continue reading for our simple, wrinkle-free solutions! 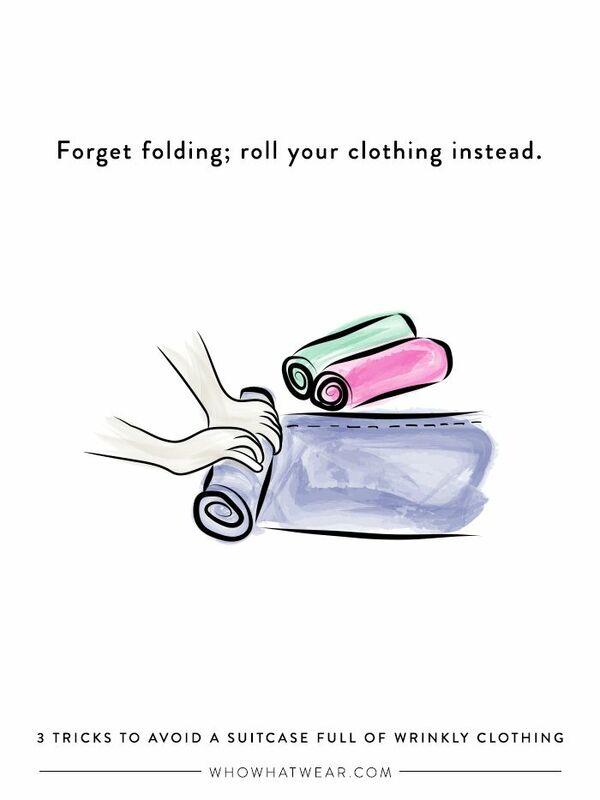 If you haven’t already heard, this tip will minimise any wrinkles and provide more space in your suitcase. If you’re suitcase is jammed full of clothes, you’re certain to have plenty of wrinkles. Make a deal with yourself to stick with the essentials for your upcoming trip. Place the heaviest items (shoes, toiletries, blow dyer, jewellery, etc.) on the bottom so they don’t crush your clothes. Follow that with jeans and other sturdy fabrics, then finish with your most delicate items on top. Now read: How to Pack Two Weeks’ Worth of Winter Clothes in One Suitcase.